Tithe the Elder Gods and save some money for the mother of all rainy days with this vinyl bank of literary and cinematic deity, Cthulhu! Originating in the fiction of H.P. Lovecraft, the octopus-faced enslaver of worlds is now an 8-inch vinyl bank. 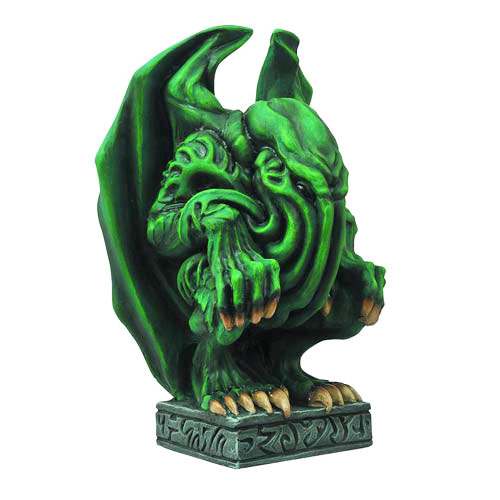 Display the Cthulhu Gargoyle Vinyl Bank on your desk or shelf to signify your devotion to the Elder Gods! Warning - Idol possesses no supernatural properties. For ages 8 years and up.